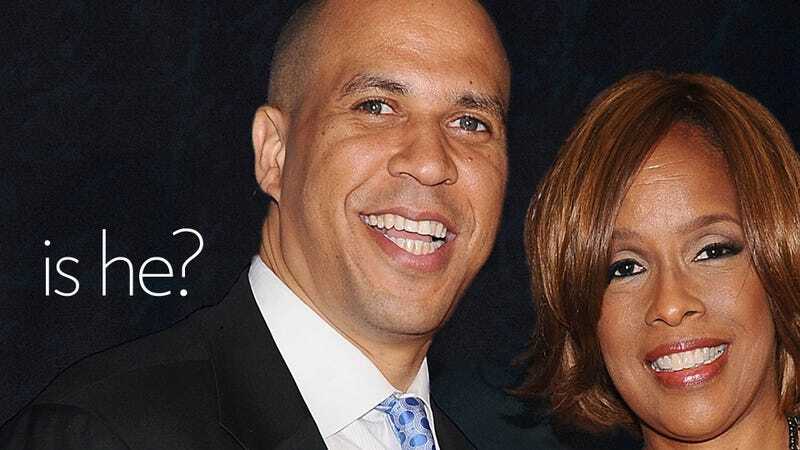 Cory Booker Tackles Cory Booker's History of Homophobia—So Is He Gay or What? Newark, New Jersey mayor Cory Booker once saved a woman from a burning building, once lived on Food Stamps, and once was a raging homophobe. See, every Wednesday, The Stanford Daily publishes an opinion piece from its archives. This week, the editors picked an article first printed in April 1992, in which the then-23-year-old Cory Booker wrote quite candidly about his feelings toward homosexuals. Booker has since Tweeted that at the time, he was writing about his "teenage struggle for integrity." A peer counselor named Daniel Bao initiated an epiphany for Booker. As Bao told Booker the kinds of terrible treatment gays endure, Booker realized his intolerance and homophobia was hypocritical and unjust. Well, it didn't take me long to realize that the root of my hatred did not lie with gays but with myself. It was my problem. A problem I dealt with by ceasing to tolerate gays and instead seeking to embrace them. But if Mr. Booker is not gay, what is he? How could Booker be a straight man with no apparent history of dating women? Maybe he hates women just as passionately as he once hated the gays? He should also disclose that he's gay, ya know. It's kinda obvious. He's gay. A friend of mine worked closely with him on his mayoral campaign, and he's definitely a friend of Dorothy. That said, church-goer Booker — who has recently set up a campaign committee to run for the Senate — seems pretty open and honest about his life; even with the pressure from Christians and the black community, groups not always accepting of open homosexuality — if he were gay, wouldn't he just say so?